What Goes with Chili: The Complete Menu For You! Chili is a classic hot dish to serve on a cold winter night or for friendly gatherings. If you get the recipe just right, this hot pot recipe will remind you of your family, friends and cozy environments that feel just like home. What makes chili even more appetizing is when it is served with equally appealing appetizers and sides. A fulfilling meal is the way to a happy heart. Of course, this should be done only once in a while. Because let’s face it, we tend to eat a lot when it comes to chili and sides. Today, we will help you plan out a perfect buffet dinner menu with chili as the main dish. In fact, you can use this idea to prepare lunch menus or even a simply homely dinner menu. Without further ado, let’s dig into some relishing and delicious recipes that go perfectly with chili. When planning appetizer items to go with your chili, try to create a mixture of small and large bites. What we mean is, prepare some light appetizers and some heavy ones. Cornbread muffins are both healthy and appetizing at the same time: a rare combination for foodie fanatics. And why not throw some extra corn into the mix to make them healthier and tastier? Since chili is a heavy dish, this light appetizer is a great way to start your three course meal. We would recommend not using much frosting with the corn muffin. A bit of honey glazing over the top is alright, but anything more than that will weigh you down before you've even started your main. 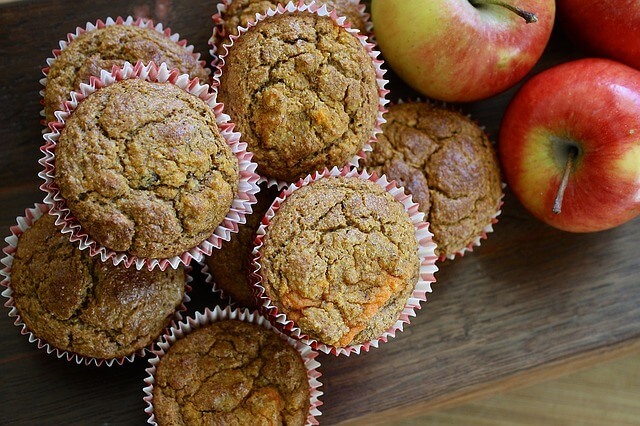 If you are looking for something simple, try out this delicious corn muffin recipe. On winter nights, grilled corn served with some good butter or margarine is always a family favorite. 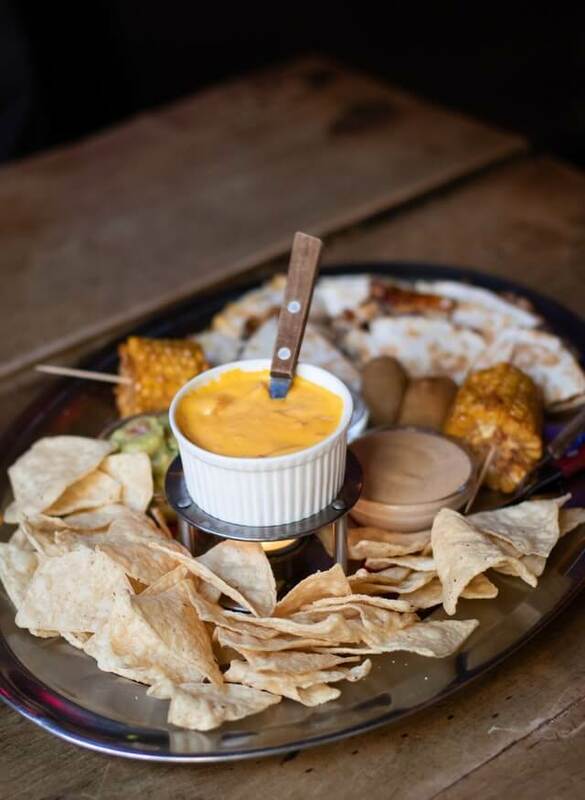 We love grilled corn as a chili appetizer. In fact, it works great as a side dish too. A crunchy bite from grilled corn combined with zesty chili is all you need on a winter night. If you are using grilled corn as a side dish, it's okay to keep the flavouring to a minimum. But when you are using it as an appetizer, it’s better to dip them in some BBQ butter. 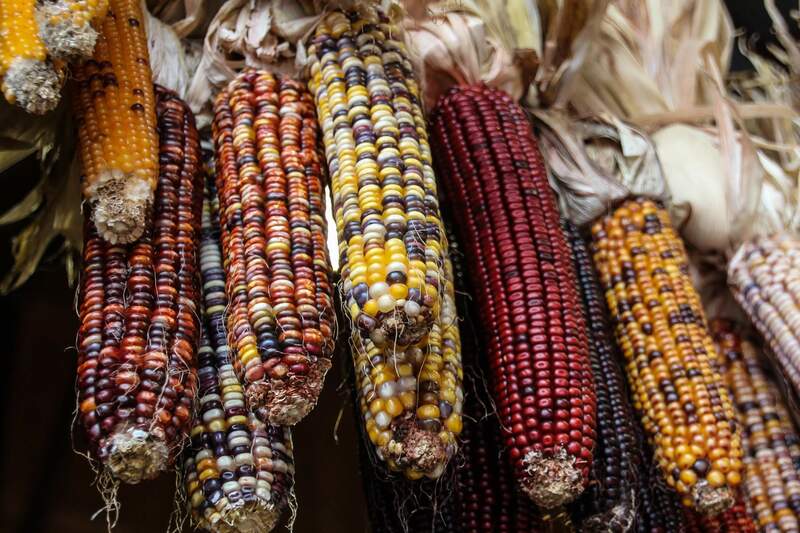 You can also add garlic and mayo dips to enjoy grilled corn to the fullest. For reference, you can go for this grilled corn recipe. 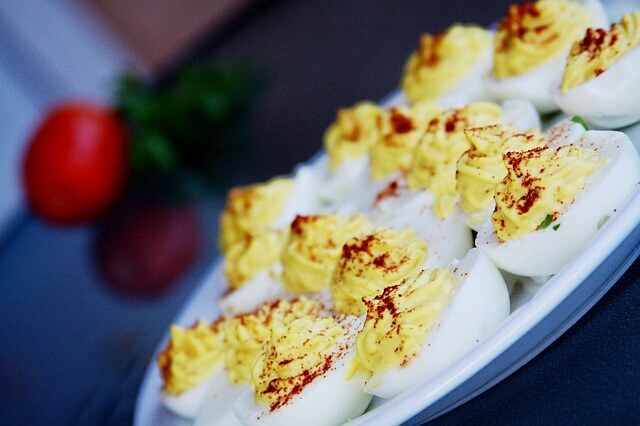 Now we know that this traditional breakfast item might seem a strange choice for a chili appetizer, but deviled eggs are a good source of protein and a great complement for chili. If you want only one appetizer on your menu, we would recommend serving deviled eggs with your chili. This is a somewhat heavy dish and does not need other sides to complement it. Use as many vegetables as you want with your deviled eggs because vegetable options for chili are typically more limited. We won’t be sharing any deviled eggs recipe with you today, but it is a fairly simple dish with many recipes available elsewhere. Another versatile item that you can add to your special menu is cheese puffs. We all love them and the taste gets better when followed by a fulfilling meal of chili. Cheese puffs are light and few bites of it will still keep plenty of space for the main course and desserts. We usually use cheddar and gruyere cheese with our cheese puffs. 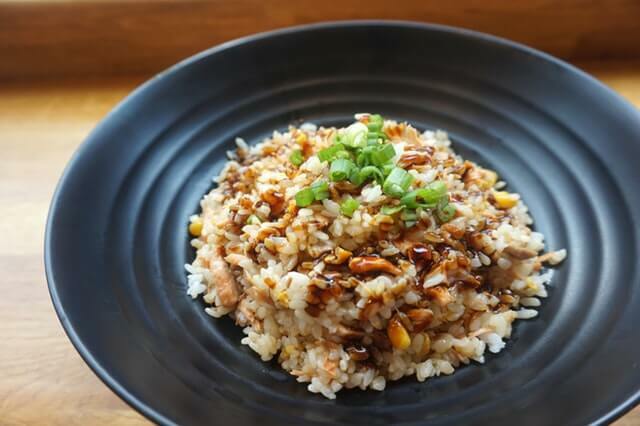 But you can also use cottage cheese if you want to add some Asian flavors to the menu. 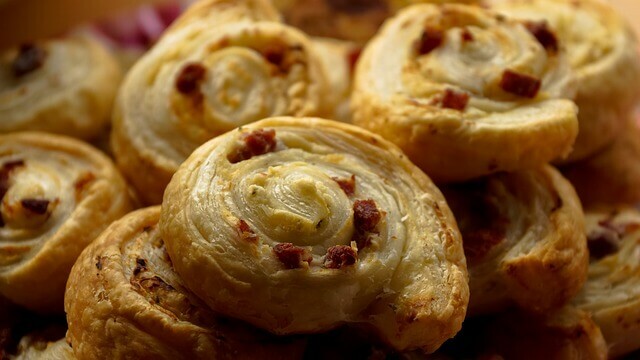 This is a very simple cheese puff recipe that you can use. 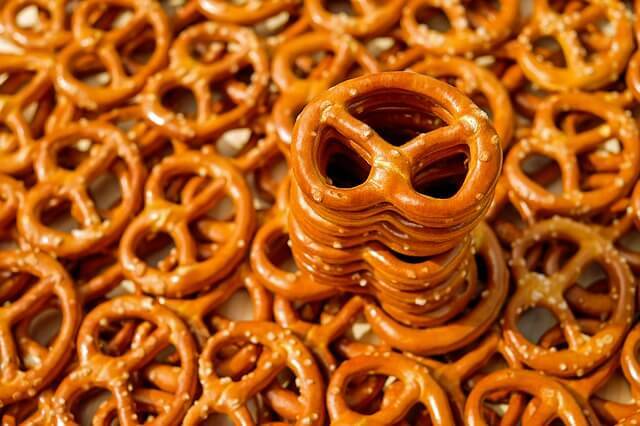 Pretzels are a common appetizer and a favorite among teens. If you are arranging a party with some good chili on the menu, we would recommend offering a bowl of pretzel to the guests as they arrive. This European dish is easy to bake and keeps the guests entertained for hours. We used to follow this trick of serving pretzels before serving a dish that takes time to cook. In this way, we don’t have to worry if the food takes time to cook. This is a great homemade pretzel recipe. But you can choose your own one if you crispy pretzels over soft one. It’s already time for the main course. 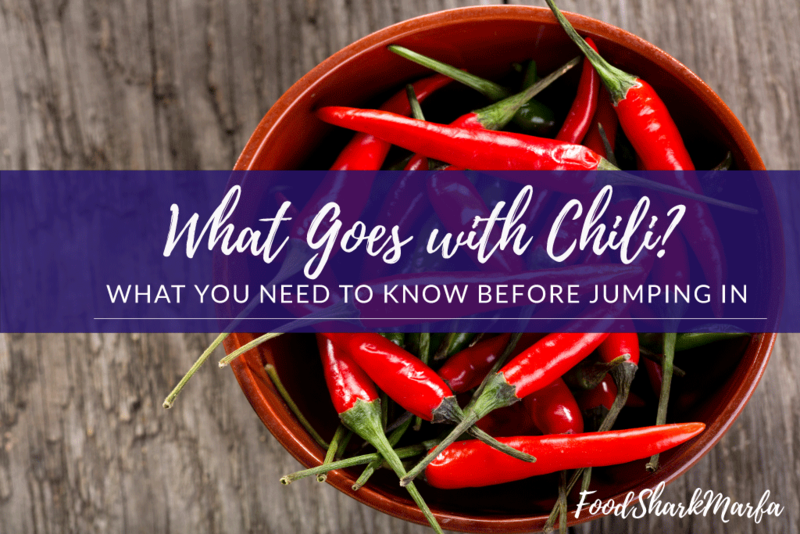 While chili itself is a fulfilling meal when served with appetizers and desserts, you can always add a little extra to your menu for special occasions. We would recommend you either serve appetizers, chili and desserts, or skip the appetizers and serve a few main dishes alongside your chili. You can add bacons and jalapenos to your main dish of chili like this Smokey jalapeno and chili recipe. Or you can prepare a separate dish with bacon and jalapenos as the main ingredient. Both options taste great, so you can't go wrong here. Which separate bacon and jalapeno recipe you use is entirely up to you. Let your creative cooking instincts be your guide! Chili can be a bit spicy and sometimes overwhelming too. Mix it up with some pasta and taste the difference. You can ladle the chili over the pasta or pour it right in. Or, you can use pasta as a separate dish. If you ask us, our favorite combination is chili poured over pasta along with some parmesan cheese. However, this dish would be heavy in calories, so you might want to avoid it if you are on a diet. 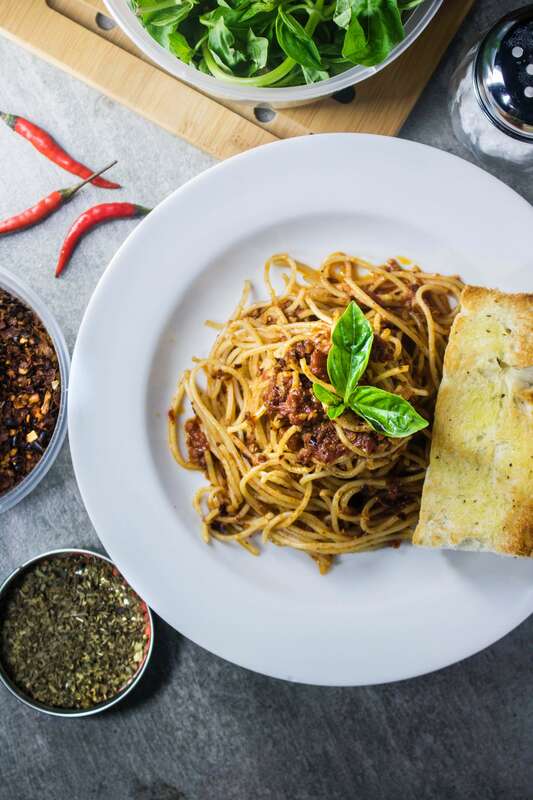 But if you would really like to indulge yourself once in a while, you can try this chili with pasta recipe. You can serve Indian rice with chili. But that depends on what type of chili you are preparing. If you are prepping chicken chili, Indian rice will complement it perfectly. 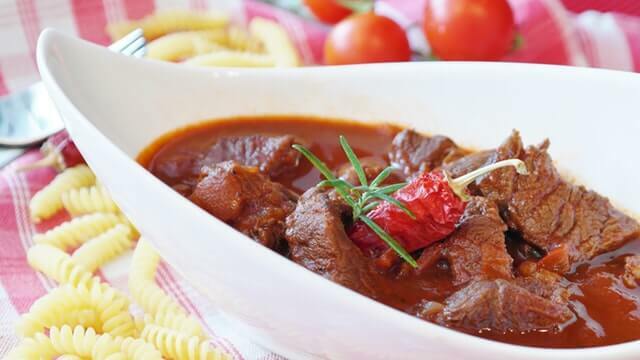 Beef or pork chili with Indian rice will be too high in calories. With this combination, remember to maintain the spice balance. If the chili is too spicy, some mild spiced Indian rajma chawal will tame the spice and hype up the flavour. But if the chili is mildly spicy, you can go for some spicy basmati rice. 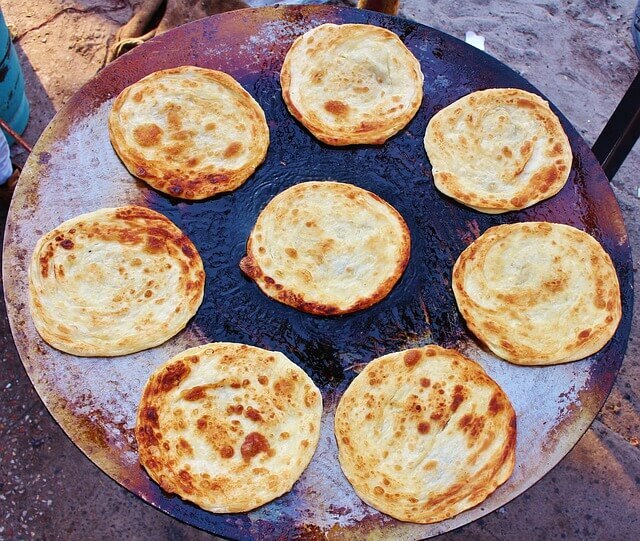 Parathas and Naan are South Asian delicacies. Chili served with some good garlic naan is a great fusion of the east with the west. You can browse through this garlic naan recipe if you want to try something new. If you're worried about this unusual pairing - don't be! These recipes are palatable to all types of taste buds and get bonus points for originality. When you are devouring something zesty and spicy, you need something to mild out that hot flavor. That something can be a simple cheese sandwich. You don’t have need to add anything too fancy here. 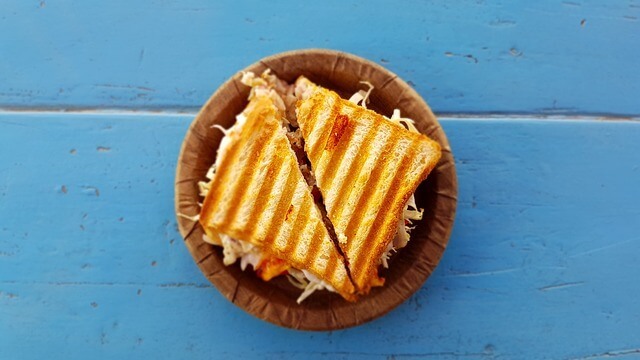 Simply pick chicken or a meat that you haven't used in your chili and use that for the cheese sandwich. For instance, if your chili is made with pork or beef, use chicken in your cheese sandwich. Or if meat isn't your cup of tea, go for veggies as your main filling. Another main course dish could be pie. Chicken and mushroom pie perfectly complements the hot chili flavor. Grab a bite from the mushroom pie and then eat some chili. The creaminess of the chicken and mushroom filling and the spicy chili flavours makes the perfect combination. However, make sure that your pie is not too heavy. Otherwise, the flavors might clash and weigh you down. You can go for this easy chicken and mushroom pie recipe if you are having trouble finding a suitable recipe. When it comes to serving something with chili, side dishes are the main attraction. For foodies specifically, everyone is excited to see which dips or sides accentuate the chili flavor the most. Lucky for you, we have some of our tried and tested formulas to share. The rule of thumb is that garlic and spinach dip is the solution to all your dip problems. 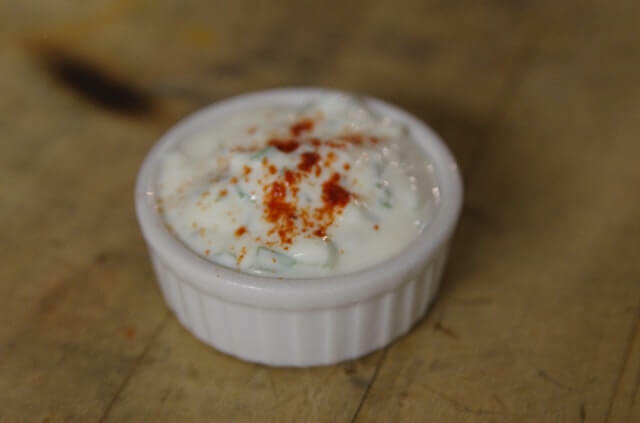 Yes, whenever you are unsure about which dip to choose, just go with garlic and spinach dip. A suggestion from us, always keep a garlic and spinach dip recipe at hand for every important meal you prepare. Our go-to garlic and spinach dip recipe is this one. Feel free to use other recipes as well. When you are serving the dips, make sure that the guests eat them separately and ask them not to pour it all over the chili. As you can imagine, this will ruin the flavor balance. A bit of dip tastes great but you don't want your chili to drown in spinach and garlic flavours. If you are into exotic tastes, fish sauce with avocado is a lovely combination that goes great with chili, and it's refreshing too. Chili is all about meat, so adding some flavorful fish makes a great change. This is a healthy combo to go with instead of extra fat, cheese or dairy. You can also make the sauce with some salmon broth and add some creamy avocado. This side dish works great with some nice Chinese Tofu as well. Chili can be overwhelming for people who are on a particular diet. If this sounds like your guests, serving too many things with chili might not be a good option. Seasonal fruit salad is a healthy option that goes really well with chili. 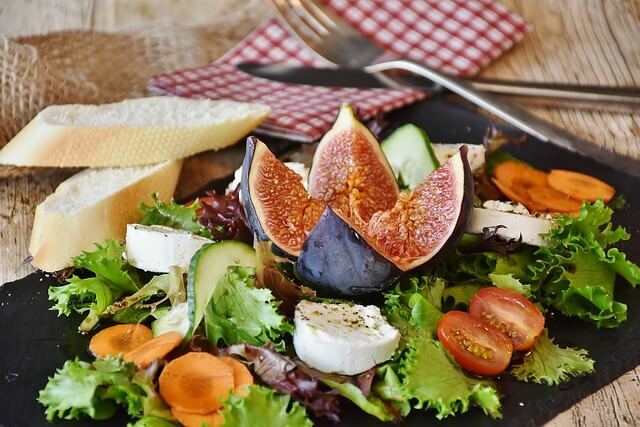 However, you have to be careful when you are choosing the fruits for the salad. Our personal suggestion would be to avoid pineapples or tamarinds for fruit salad. Using some fresh, seasonal fruits works great here. If the chili you are prepping is not too thick, you can use some crispy corn chips with it. You can serve them separately or sprinkle some all over the chili. The chewiness of the corn chips would be an absolute delight with the chili. You can go for homemade corn chips recipe or you can get them directly from the store. This side dish is again for mild chili and not for the heavy ones. Potatoes are high in carbs and if you are on a strict diet you might want to avoid this as a side dish. However, if you do not have any diet restrictions, potato salad tastes amazing with chili. Really, we mean amazing! A spoonful of chili and then a bite from the potato salad is all you need for a delicious, nutritious and fulfilling dinner. For serving with chili, our personal favorite is this potato salad recipe. After a relishing and hot chili serving, it’s time for some sweet treats. When you are planning a dinner with chili as the main dish, desserts are a must! Don’t think that since chili is high in protein, you can get away with simple desserts. Chocolates go well with everything, but what makes it even better is combining it with peanut butter. 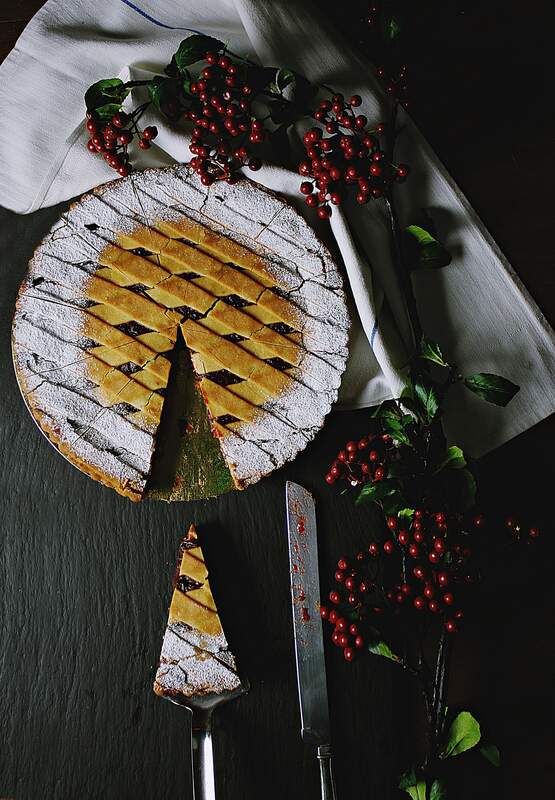 Create a tart with these two and voila, you have yourself an amazing mouth-watering dessert. Make sure you give your guests a break before serving this heavy dish after chili. You can also serve this peanut butter chocolate bar recipe for an extra twist. There is no hard and fast rule about what type of chocolate peanut butter tart you want to serve, so you can be creative. 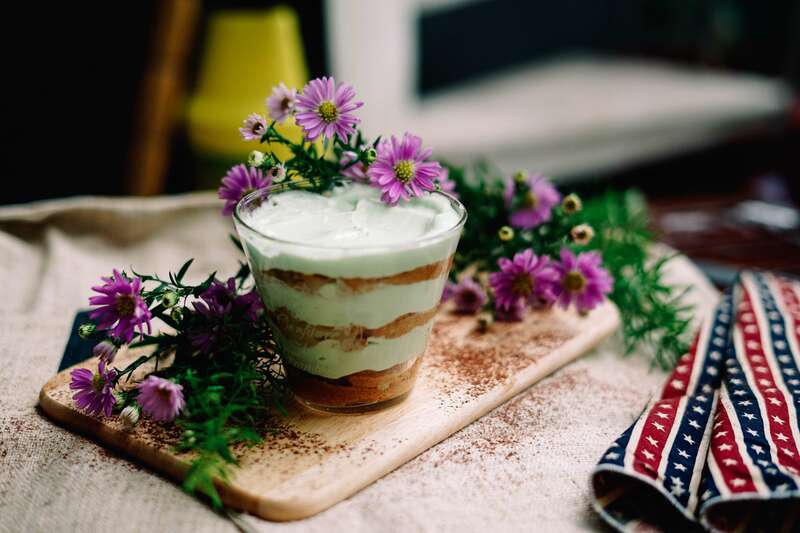 For a different taste, you can serve tiramisu as dessert after chili. The three layers of cream, coffee and cocoa are all you need to end the day on a good (and tasty!) note. Our personal favorite is to prepare small shots of tiramisu for the guests. However, you can choose to serve them in large jars as well. You can go with this easy tiramisu recipe if you are preparing it for the first time. 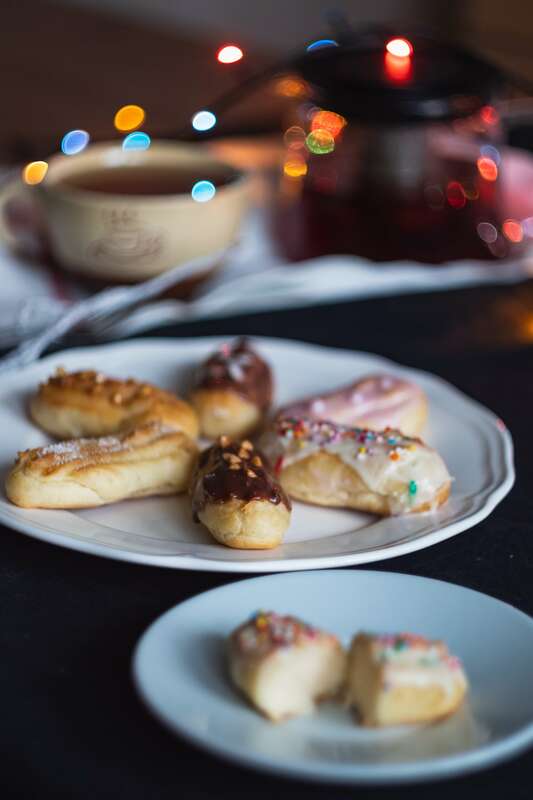 Éclairs are a light treat that you can serve after heavier chili meals. You can even serve them alongside your chili if you're feeling creative. After having some zesty chili, some éclairs are not a bad combination at all. The molten chocolate is just what you need after those spicy chili flavors. It’s easy to prepare, and everyone knows a great éclair recipe or two. Even if you don’t, you can go with this common éclair recipe. If you are a fan of éclairs, you'll love the taste of cream rolls too. The difference is that with cream rolls, you can play with the flavors. Those who don't like chocolate much can go with a vanilla or mango cream topping. Feel free to get creative with the flavors. This is a very common cream roll recipe. But you can always adjust it to find exactly what you need. 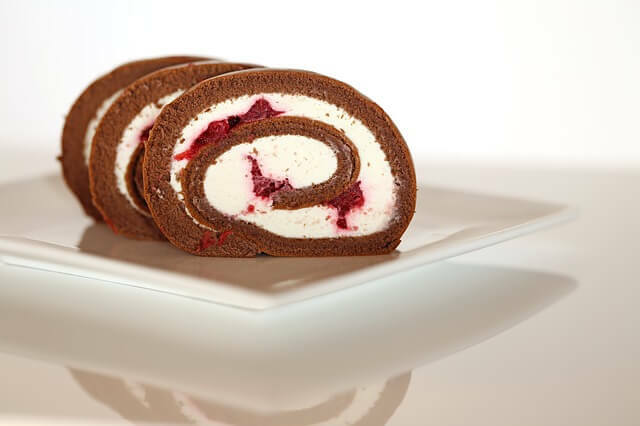 The crispiness on the outside and the sweet flavorful cream on the inside is what cream rolls are all about. When served with chili, this combo is on a whole other level. Your chili deserves more than a simple glass of water. You need something that'll treat your tastebuds and wipe out the heaviness from your body. When it comes to drinks, you need something that you can sip in between bites of chili. Therefore, it doesn’t have to be something very heavy. Simply something soothing or refreshing will do great. Speaking of soothing and refreshing, cocktails are a chili's best friend. It’s light and will help the strong chili cool off a bit. For cocktails, our recommendation would be to go for something with lemonade. And we all know what goes well with lemonade: gin! Mix it up your way with some lemonade and gin to complement the flavors of chili. For summer specifically, this is the perfect cocktail combo you need for chili. Pimm's cup cocktail is one of our favorites for lemonade and gin cocktails. Any type of beer actually pairs well with chili. It takes out the extreme spiciness that you feel after eating Mexican recipe chilies. 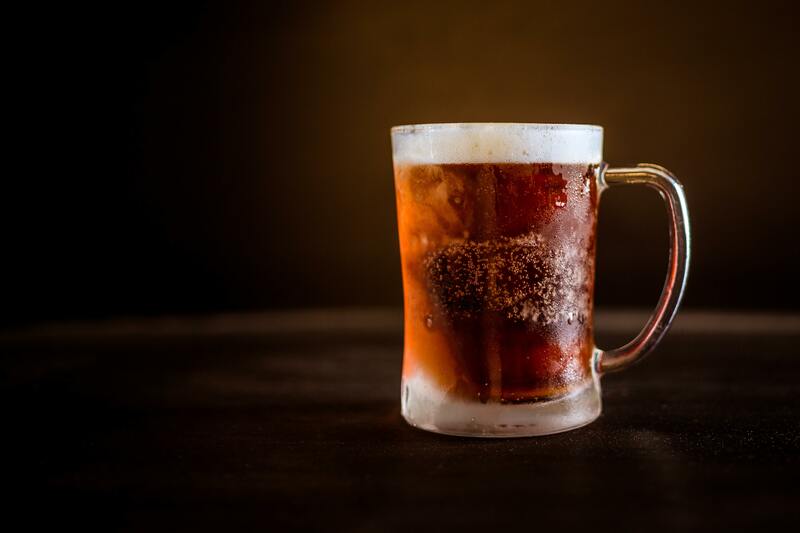 If you haven’t planned out any drinks for your menu, the easy way out is to bring out the beers from your fridge. Trust us; the guests will not complain at all. Our personal favorite combination is to go with cider with chili. 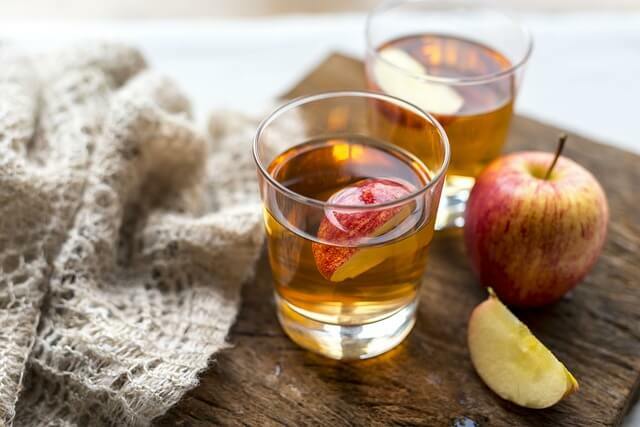 Be it apple flavored, guava flavored or simply mint flavored, they all go well with cider. We would recommend going for this option specifically if you are serving for lunch. 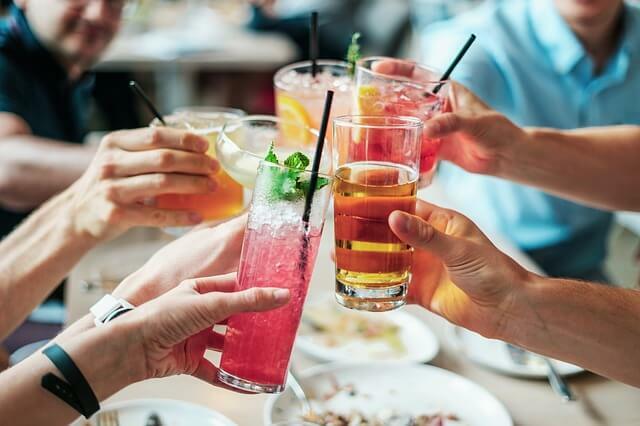 If you are looking for something completely non-alcoholic, you can serve cranberry or blueberry juice with your chili for that extra fruity bite. Before signing out, we would like to share some favorite chili recipes with you. Although there are myriads of variants of chili, we have hand-picked some of the best just for you. Let’s start with the traditional chili recipe that reminds you of the holidays. The key ingredients to this dish are ground beef paired with some baked beans. For the seasonings, add chopped onions, chili powder, tomato paste and some salt. You can find the detailed description of traditional chili recipe here. When it comes to enjoying a dish full of chili, we don’t want you to miss out on the authentic Mexican chili recipe. Some ground beef, black beans and plenty of pepper variants are all you need to prepare an authentic Mexican chili. Wait till your taste buds enjoy this hot and fiery Mexican chili and you will thank us later. Don’t forget to pair the chili with the side dishes and appetizers that we recommended. This one is an easy Mexican chili recipe that you can follow. If you don’t like red meat or maintaining a strict diet, you can always opt for chicken chili. You can surprise your guests with this amazing white chicken chili recipe. Chicken breast, garlic, onions and white beans are some of the key ingredients to this recipe. Pair this lighter chili with some of the main course dishes we recommended to find that perfect balance between light and indulgent. Chili might sound like a less gourmet dish to many, but you can experiment so much with this dish. It is quite versatile and tastes even better when paired with the right types of dishes. When you are planning an important meal, we are sure that the dishes we recommended will help your chili go that extra mile.